This tutorial will provide the steps required to add a Google calendar feed subscription to your Táve account. IMPORTANT NOTE: If you are trying to subscribe to a Google calendar within Táve, you are going to experience an error unless you adjust your calendar sharing options in Google. You have to change the calendar sharing settings to public and then ensure that all events you want to appear on Táve are public as well. 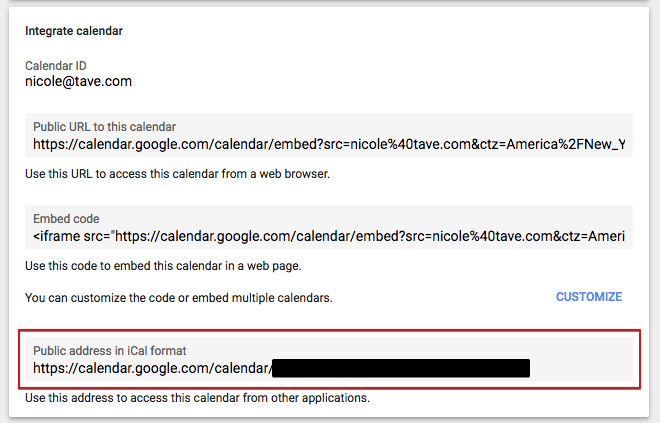 In order to add a subscription to your Google calendar within your Táve account, you first need to find the custom URL assigned to your external calendar. When viewing your Google Calendars page, navigate down to the calendar you’d like to subscribe to under the My calendars section along the left side of the screen. Click on the dropdown menu to the right of the calendar and select Settings and sharing. Once in your Táve account, you’re going to navigate to Settings › Calendar Feeds and choose the New Subscription button in the Calendar Subscriptions section. On this screen you will paste the URL you copied from your Google calendar settings in the URL feed. 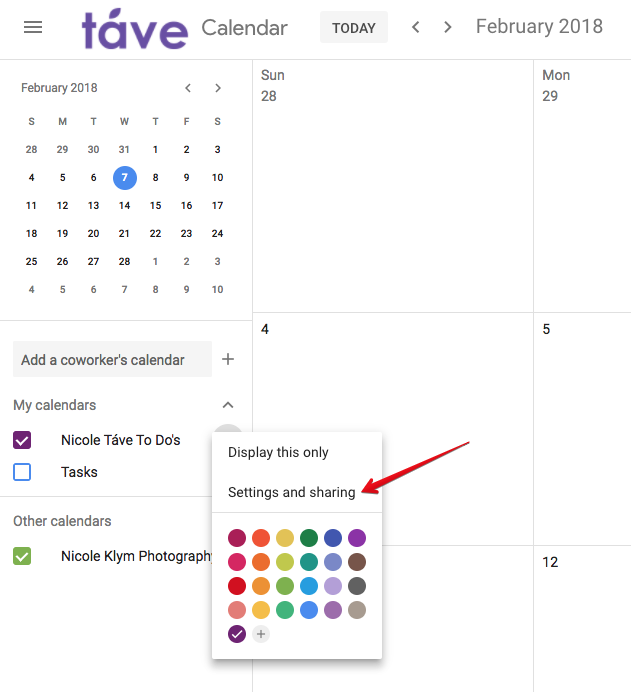 You can give your Google calendar a name of your choice, and select the color you’d like its events to display as in your Táve calendars.